DURBAN, South Africa (Dec. 11, 2011) — The United Nations Conference on Climate Change concluded here with a mixed outlook at about 3 a.m. this morning. After two weeks of hectic attempts to reauthorize the Kyoto Protocol and create a road map for a legal agreement that would include all the big emitters, the sides reached an agreement at the last minute. The conference had been extended by a day and a half in order to allow for prolonged negotiations. The discussions were characterized by high points and low points, leaving participants nauseated, like after finishing a wicked roller coaster. The European Union's goodwill distanced it from the United States to join the second period of the Kyoto Protocol. The agreement that was reached is similar to Swiss cheese: the part achieved is tasty, but at the same time filled with lots of holes. The Kyoto Protocol, the only legally binding climate treaty, went into effect in 2005 and its outlined obligations will expire in 2012. After many attempts, negotiations led to renewal of the Protocol by at least five years until 2017, and the new agreement may last as long as until 2020. However, the legally binding commitments in its powers will not be imposed on the United States, which did not sign onto the Protocol in the past. Likewise, fast-developing economies such as China, India, Indonesia and Brazil also will not be subject to reduction commitments. However, these countries did commit to a road map that will lead to legal commitment by 2020 at the latest. As opposed to in the past, no definitive emission reduction goals have been added for the countries that are signed on; the countries will base their commitments on those outlined in the Copenhagen Conference two years ago. There was no change in Israel’s classification as a developing country under the Kyoto Protocol. This means that until 2017 or 2020 (depending on what is decided by all sides), Israel will not be subject to international policing that requires a reduction in greenhouse gasses. At the same time, the one-sided commitment given by the Israeli government in Copenhagen is internationally binding. This includes the goals of reducing greenhouse gases by 20 percent — as opposed to the “business as usual” scenario of the Durban agreement — and generating 10 percent of its electricity from renewable energy sources, while increasing energy efficiency by about 20 percent. In order to achieve these goals, the Israeli government adopted the national plan for greenhouse-gas reduction in November 2010. To implement the program, it was set that by 2020, 2.2 billion NIS will be budgeted for energy-efficiency development, green building, transportation and education. The supportive budget for 2011 and 2012 is 151 million NIS. Of that, 40 million NIS is dedicated to supporting Israeli technology, 43 million NIS is for agricultural and industrial projects, 43 million NIS is for commercial and service sector projects, 15 million NIS is for municipal-sector projects, and 10 million NIS is for transportation projects. The scope of the annual budgets in the context of multi-year budgets is unprecedented and will hopefully help Israel meet the goals it set. In terms of providing subsidies for reducing emissions, there is room to consider the adoption of regulation that will require action-taking, which will increase energy efficiency and, in most cases, generate economic benefits without providing economic incentives from the national budget. An additional and significant agreement reached here in Durban is related to the international climate fund. Established at the Cancun Conference last year, the fund has yet to come into operation in the absence of a base structure and amid disagreement about the shares of contributing countries. In the Durban agreement, the fund was amended, but in its first years it will be smaller than originally planned: The budget will be tens of billions of dollars instead of hundreds of billions of dollars. The Durban agreement also established a committee on climate-change adaptation that will promote policies of adaptation among developing countries. The establishment of this committee shows recognition of the fact that adapting to climate change is essential and inevitable. Adaptation will undoubtedly become a central focus of policy in many countries. The unique characteristics of climate change, in terms of economic and human justifications for multilateral preventative action, show that it is too early to give up on the multilateral negotiations led by the United Nations. Unilateral action, as Israel is about to take, can indeed decrease certain emissions. But voluntary reduction will not be enough to reach the international goal of limiting global warming to between 1 degree and 1.5 degrees Celsius. In order to reach this goal, many more countries will have to follow obligations set by a binding international treaty with much loftier goals. We can expect that in the future, certainly by 2020, the convention framework will expand and Israel, as well as countries with transitioning economies, will legally commit to dramatically reduce emissions. In light of this, Israel needs to begin with these activities now. Israel must begin to formulate principles for a long-term plan that will enable it to reach these ambitious goals. In light of the agreement reached here in Durban, and the very real possibility that the global temperature will rise by 1.5 degrees Celsius by 2035, Israel will join in developing and dedicating much thought and efforts to activities that will adapt to climate change in the Middle East. Some are already inevitable: Israel will have to explore the establishment of institutions that will set adjustment policies, such as updating the water sector with the latest forecasts, adapting the agricultural sector, implementing a flexible plan for flooding in coastal areas, and working with cost-effective construction methods that optimize electricity use in cooling buildings. 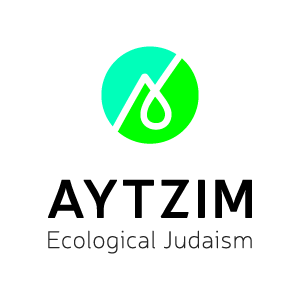 At the Green Zionist Alliance, we care about climate change and invest resources into research and diverse activities that will prepare the Israeli forest for the changing climate. The sooner we make the necessary changes and investments to adapt, the more we can prevent the consequences of these changes in our region. Doing so will also strengthen Israel’s position as a knowledge base for adaptation methods and technologies that can be shared with other countries facing similar situations across the world.